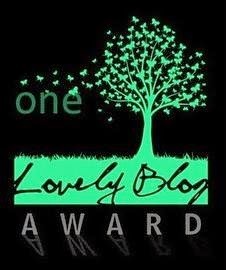 First day of Blogging from A to Z challenge and I am feeling a little overwhelmed. I have a nice list of topics this month (planned in advance) and plans to get ahead. This month, it has sadly not started off on a good foot. Too much stuff in my head and not enough writing. Oh, well, I am not going to let that stop me. I have a list, and oddly enough a good chunk of the list is centered around writing, authors, books, reading, etc. I am going to make this month pretty damn awesome by Hell of High Water! 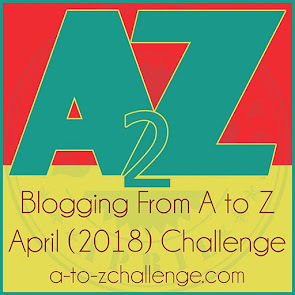 A for Agatha Christie (see her awesome website here). I first read Agatha Christie in college. It was for a class called English Detective Fiction with Dr. Ramsey. His claim to fame being that his daughter became the current lead singer of the 10,000 Maniacs, Mary Ramsey. Anyway, off track already. We read all manner of English detectives in that class from Christie, Conan Doyle, Dorothy L. Sayers, to Ellis Peters. I was introduced to Miss Marple in The Body in the Library and Hercule Poirot is The Murder of Roger Ackroyd. They were simple mysteries, although I wasn't always able to figure out who the murderer was. That was the exciting part. Sherlock was much more difficult to decipher. Where Christie, she wove a tale of honestly real characters, with faults, quirks, and foibles. She used very subtle details to bring about the murder/murderess. While Conan Doyle's mysteries were very detailed and sometimes hard to follow. I then saw a local company Elmira Little Theatre perform a production of The Mousetrap in 2005, about 4 years after I graduation college and reading those two mysteries in college. Something clicked in my brain. Agatha writes with a realism, blended with a touch of the surreal. And when you throw in her quirky way she uses nursery rhymes in her writing, it makes for a nice interesting plot. went off without a hitch. It was a killer! ~giggle~ In the process of directing this show I have expanded my mystery collection and will need MOAR bookshelves. I now have about 12 of her 66 novels that she wrote. That's 66 mystery novels, 14 short story anthologies, and 6 romance novels. I think I will be collecting for a while. there. It is in its 63rd year of production and has been performed 25,000+ times. Wowsa! Things I learned from Christie, thus far, if they look and act like a suspect, then it is good chance they are not; oh, nursery rhymes are scary; and use your grey little cells and you will figure it out. 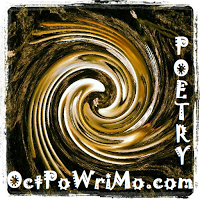 Also, it is the 1st day of NaPoWriMo. Today's prompt is one of negation. To write a poem about what a thing isn't. Example: Day, the day is far less dark than the night. Although I like actually example on the NaPoWriMo site. "And now, without further ado, our optional prompt. Today’s prompt is a poem of negation – yes (or maybe, no), I challenge you to write a poem that involves describing something in terms of what it is not, or not like. For example, if you chose a whale as the topic of your poem, you might have lines like “It does not settle down in trees at night, cooing/Nor will it fit in your hand.” Happy writing!" Writing Prompt: Early Bird from Toasted Cheese Literary Journal Lots of fun stuff here like writing prompts, contests, and forums. check out their twitter handle too @toasted_cheese. and does not rightfully care. that it must needs to make haste. yet no regard is unduly given. to the hours of five to six. to which the alarm is an enemy. I just read And Then There Were None and loved it. Good luck with the challenge this month. love that you are taking on two challenges! agatha christie is the best, always been one of my all time faves - and i never knew about the play, i will look for it! and a wonderful, fun poem - i have similar thoughts about rising so early! great job! Found your poem. Loved it -- although I am mostly an early riser and don't use an alarm at all. Thank you also for drawing those lessons from Agatha Christie. Have you read/seen the movie about those mysterious years she simply disappeared? 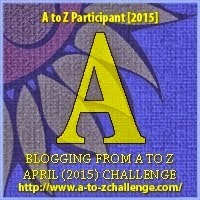 Hope to see more of your A to Z . . . write on!